There are 20 reviews of Osmanthus. 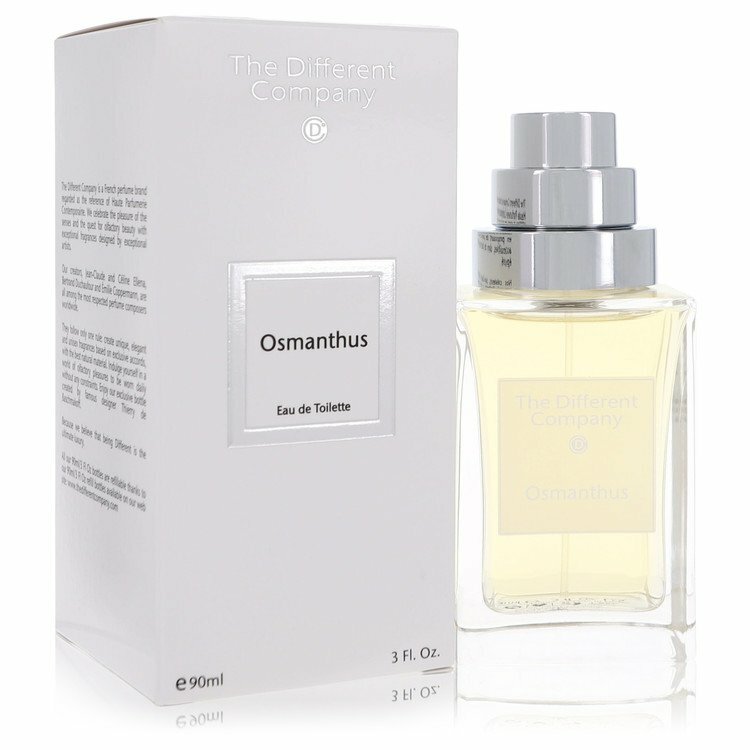 Delicate but still consistent, honest and clear take on osmanthus, quite linear and pleasant. Perfect for spring. It is also finally the first TDC fragrance I smell which *does* have a clear and defined smell and you can actually wear it for a while before it is vanished. Usually their scents are so light I can barely detect them. This is not exactly a "powerhouse" and does last shortly but it's decent. Bit of a synthetic feel but the osmanthus absolute itself weirdly has it at some points, so not a "con" here. I still prefer Osmanthus Interdite by Parfum d'Empire on this theme, which develops the osmanthus in a more complex and interesting way - here on the other side you can actually smell it a bit more simply and clearly. The opening holds a great deal of promise - it begins like Mitsouko with the dark apricot/peach note, but this almost immediately fades into a nondescript woody nothing. Turin gives this four stars and describes it as "dreamy peach." He has obviously never smelled a peach before. Considering the notes he says are in pure osmanthus oil (apricot, peach, cassis, violet, camphor, coconut), this should have been a fragrance trip. As is, it breaks down before it leaves the station. I agree with gimmegreen on this one. Blink and you'll miss it. Got a whole sample of it, waited ages for it and when it eventually arrived I was quite disappointed. One or two sprays to the hand, got some bergamot and mandarin and then it completely disappeared. What is there to review? A semi fresh citrusy and floral fragrance that dries down to a generic sweet floral scent. At the opening you can smell a light and fresh citrusy scent with very natural and light rose note and some sweetness in the background. The citrusy scent is not so bold and extremely fresh like summer fragrances. It’s there and you can easily smell it but it’s just smooth and gentle. there are some green notes in the background too and they give the scent more fresh feeling. I’m not a fan of rose but I found the rose scent very natural and quality in this fragrance. smell like rose petals.also the sweetness is light and vanilla like. It’s not musky. The opening is very pleasant and I like it so much. In the dry down the sweetness become much stronger and osmanthus note comes into the front of the scent and pushes other floral notes like rose and jasmine completely to the background. The dry down is very generic to my nose. osmanthus doesn’t have a unique smell at all and this sweet floral smell may remind you of tons of other floral fragrances in women world. Projection is good and longevity is around 6-7 hours on my skin. I loved the opening but dry down and base is quite generic. And one last thing ……. this fragrance is completely feminine! guys, don’t even think about using this fragrance! Barely there perfumes can barely be reviewed. For what it's worth, an airy, soft fruit (think a dream of apricot) and spring blossom (ok, osmanthus flowers in autumn, but hey it smells like a start rather than an end) concoction which would be worth sitting up and paying attention to if only it had the amplitude. There are no member images of Osmanthus yet. Why not be the first?